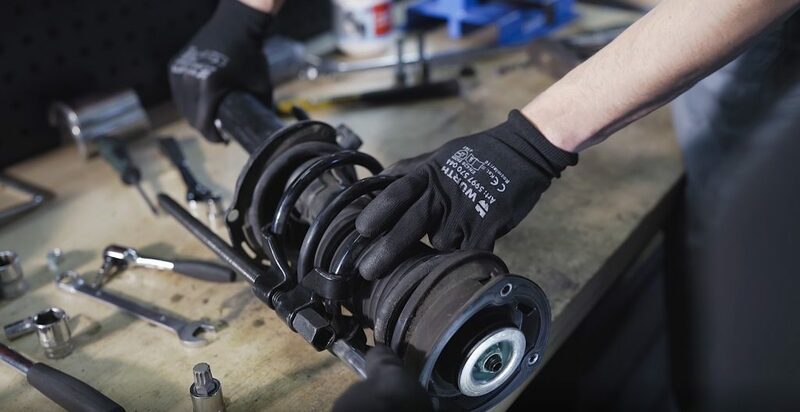 We have already convinced You about the importance of proper suspension assembly in our blog post regarding the BMW E30. 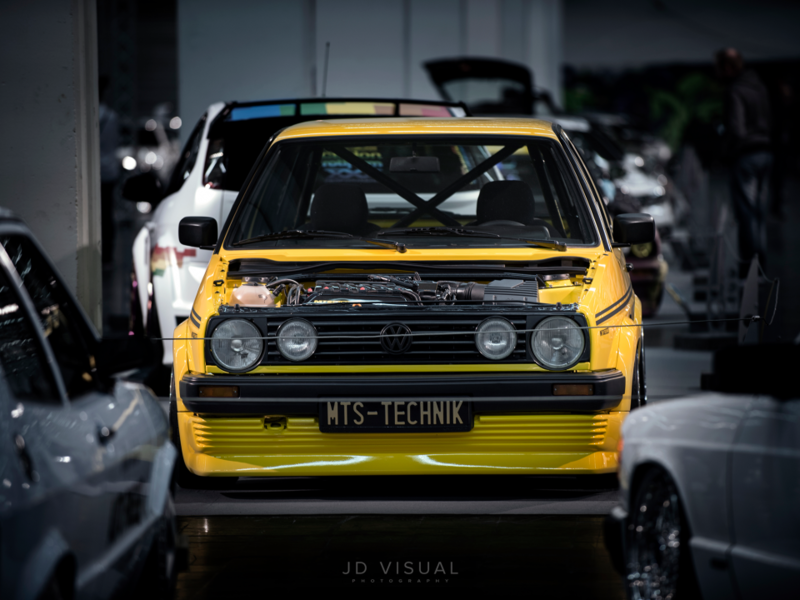 VW Golf Mk7 is not only a different badge on the grill but also 3 decades of difference in the construction of the suspension. 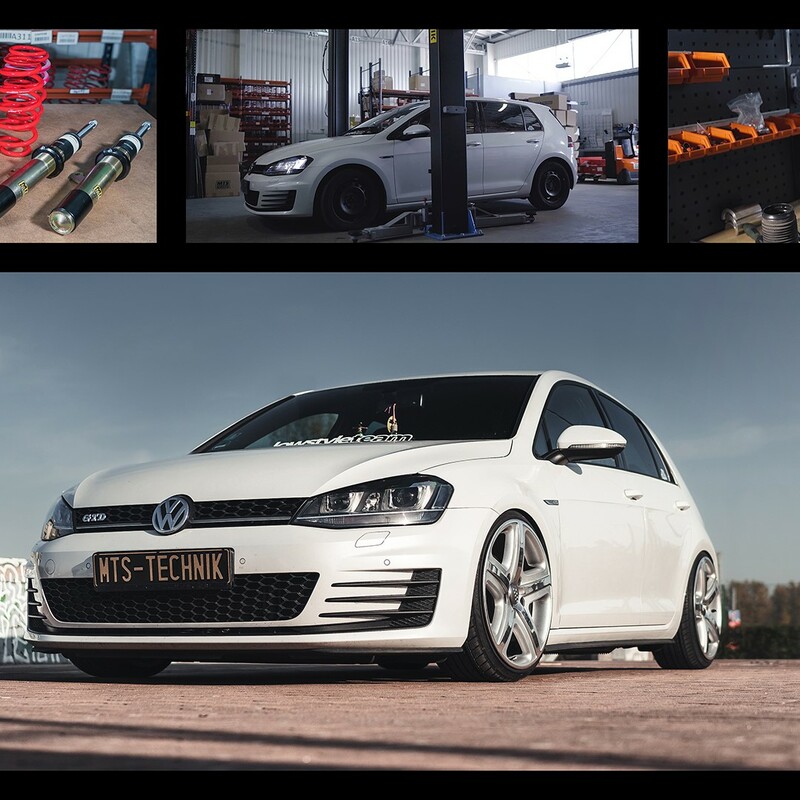 We want to introduce You to the process of replacing the VW stock suspension for the MTSGWVW32 coilovers from our offer. 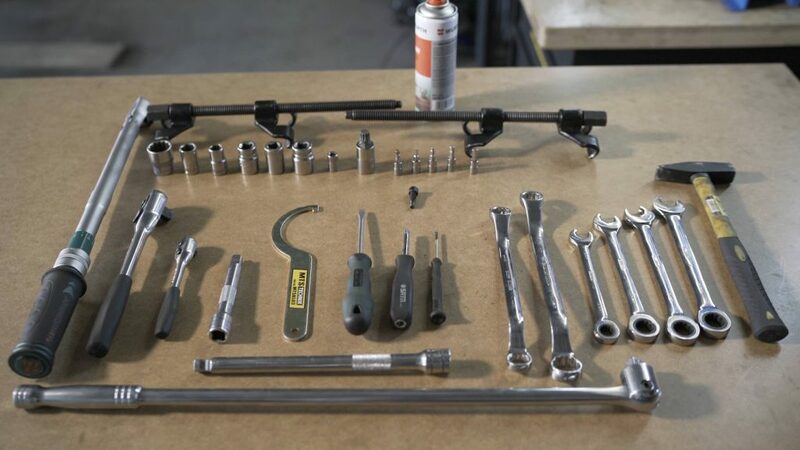 Ratchets and the torque wrench will also be useful at work. The first feature characterizing newer cars is a big amount of plastics under the bonnet. It is worth removing them to make it easier to access the shock absorber top mounts. After loosening them, the same can be done with the screws of the front hubs and wheel bolts. The next step is to properly place the lift in order to lift the car safely. We recommend spraying all screws with a lubricate, which will make them easier to unscrew without damage. The McPherson front strut can be pulled out of the car after unscrewing the upper and lower mountings and the swaybar link. Unscrewing the strut is only possible after securing the springs with the compressors! The strut should be dismantled in order to be able to use the upper shock absorber mounting (only if it does not show excessive wear). The mounting is screwed to the MTS Technik threaded shock absorber and placed again in the trailing arm. 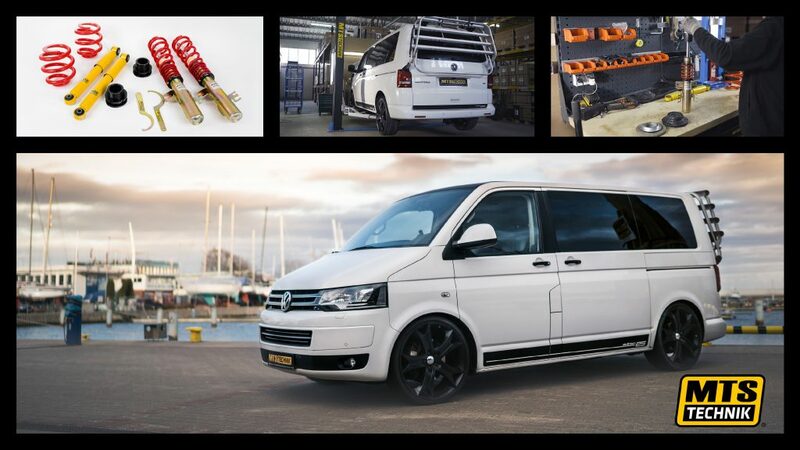 Dismantling the front strut is possible only with spring compressors! The set prepared in this way is placed back in the car. Screw the upper fastening to the bodywork and lower to the control arm. Screw the brake calliper and the swaybar link. Importantly, this set can work with serial links. On the threaded strut, the height of the car can be set by turning the hexaCOIL spring perch properly. The front is almost ready, You can proceed to replace the rear axle suspension. 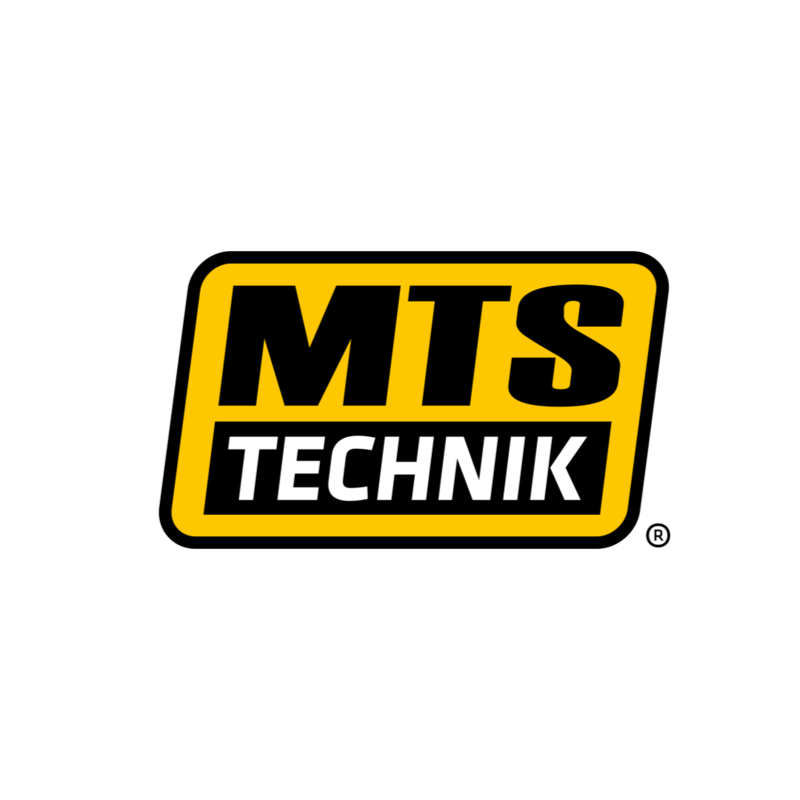 Similarly, as in the front, the rear shock absorber has to be removed from the car in order to use the upper shock absorber mounting in MTS Technik shock. Interestingly, in the case of the MTSGWVW32 set, it will be the only one of the stock elements that will be needed. 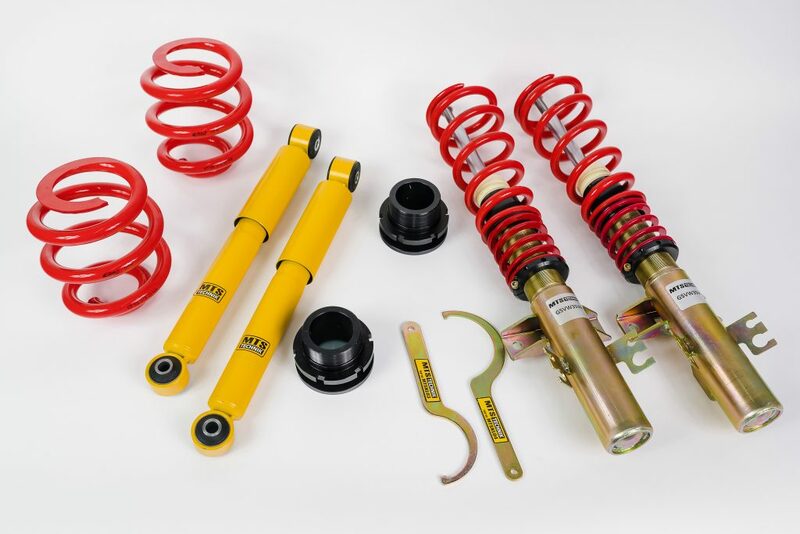 This coilover set is delivered to the customer with a set of covers and bump stops also for the rear axle! 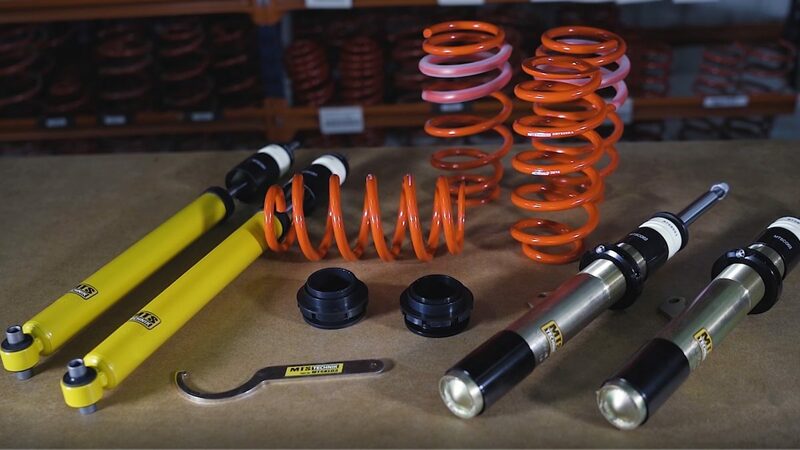 The rear spring should be removed by pulling back the control arm and pulling out the spring. 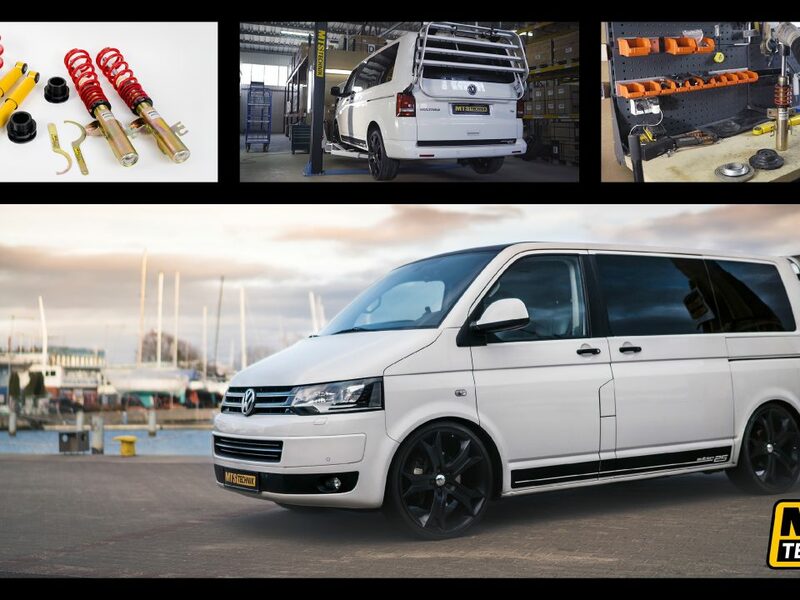 In the place of its top fixing, place the MTS Technik height adjustment and fit it into the GWFE09HA spring. After adjusting the height, You can start putting on wheels for the car. 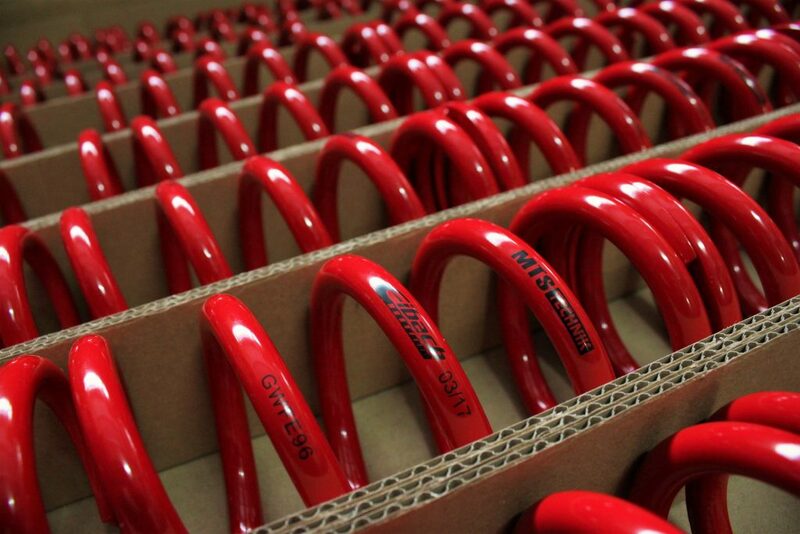 Rear spring in MTSGWVW32 set is also made by Eibach. 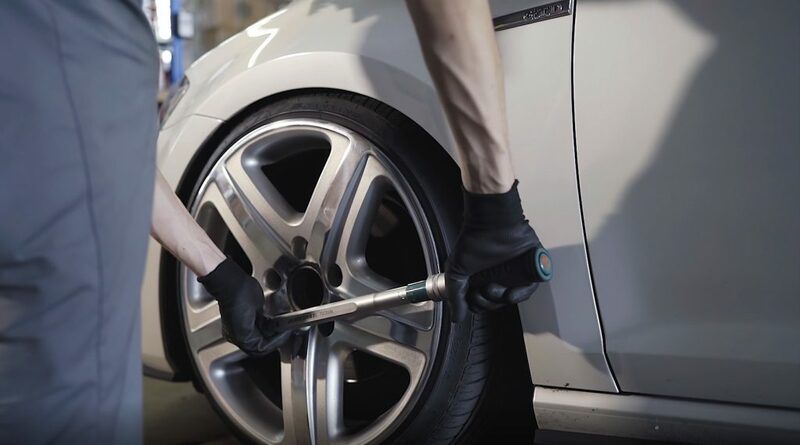 After leaving the car and mounting it with the whole weight on the wheels, tighten the upper mountings of the front shock absorber, the hub bolt and above all the wheel bolts. Here, the margin of error is very small. It is worth to use a torque wrench for this. The final bolt fixing should take place when the car is standing on the wheels. 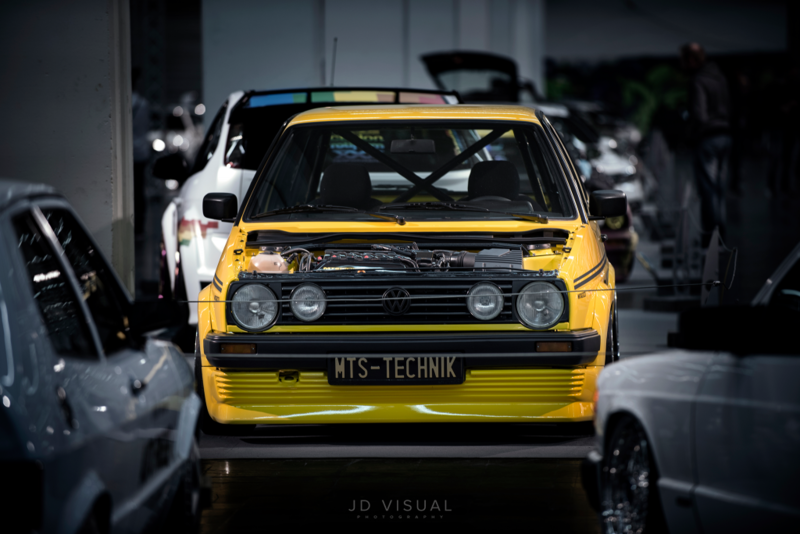 After everything is done, there is nothing else to boast about driving a lowered car with sports aspirations. The whole description above was also made in the form of a practical video, created with the help of Conek Foto.